One of the things I love about travel is the fact that I get to taste foods and dishes that I would not normally come across in my everyday life. Even more poignant is traveling with a friend who is an adventurous eater and who has already tasted and vetted everything in a few cites in a region. Enter my friend Didi Paterno, publisher of the brand new Daiyo Kitchen and sourdough baker of Masa Artisanal Bread. I spent my summer holidays in Frisco two years in a row and while last year I was pretty much confined to Frisco, this year, Didi was in town and ensured that we had a grand culinary tour of many scrumptious eateries in the DFW (Dallas Forth Worth) area. I will write more about eating my way through DFW with Didi and her husband Duane later. 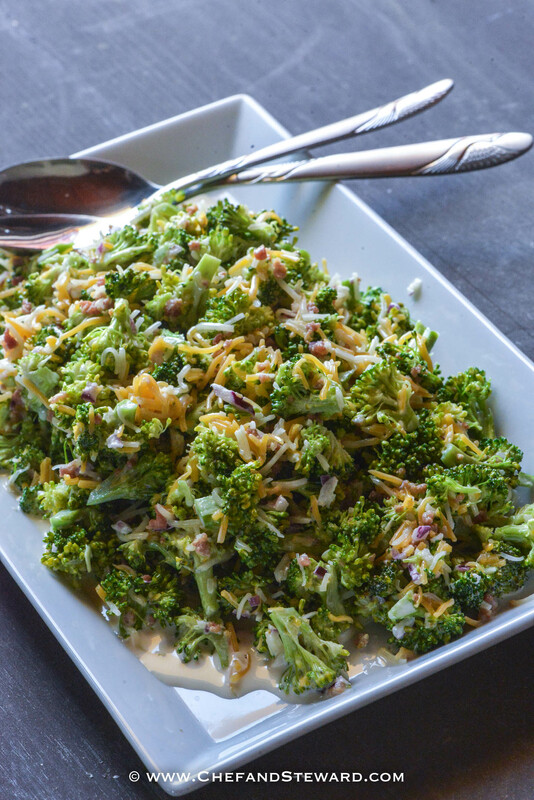 For now, I want to share with you a recipe inspired by the Broccoli Salad I had at Hutchin’s BBQ in McKinney Texas. It was my very first time having a raw broccoli salad and truth be told, it would not have been something I would have selected had Didi and Duane not gone on and on and on about how sensational it was. Reluctantly I tried out of politeness and also because I trusted Didi’s palate, who is my food travel blossom buddy. Didi, I can’t wait for you to launch tours with your vast food knowledge of the DFW area and quite frankly, so many places and towns across the US. The beauty of trying something new is that is really has the potential to blow your mind and expand your own kitchen repertoire. This salad is definitely now a favourite in our house because it is unbelievably delicious. It is also budget friendly and completely adaptable to most diets. You can substitute the sugar for a sugar free alternative like monfruit, erythiritol, or stevia to make it keto. Whatever you do, print and make this recipe. It’s also a great salad to bring for a potluck for those who always volunteer to bring the salad. 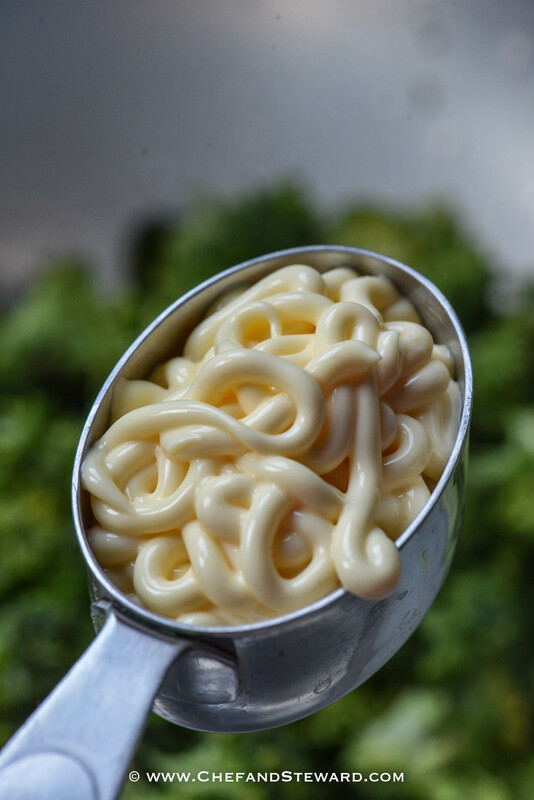 I used silky Japanese Kewpie mayonnaise in this post because Didi raves about it and it is really, really better than regular western Mayo! You can sub regular mayo but the kewpie is worth it if you can get your hand on it. I took a large tube back with me to Aruba and have been nursing it since. This would be a great salad for the holiday potlucks. I would even serve it on the weekend brunch table too. It is great to get as many healthy recipes you can during the holidays. I know for a fact this will be great come January. Yes Gloria! Omg perfect for a weekend brunch!And broccoli is in its peak season. Oh my – this is the biggest reason why I love travelling! The idea of tasting something that I can’t find in my hometown or cook at home makes me so excited! And this salad is just fantastic – thank you so much for sharing it! Yes! Precisely! I really don’t get those who travel and eat ONLY in American chain shops. That is exactly one of my fave things about travelling too! I always research what should be tried in a given destination. And I also love finding new ways to consume broccoli, and I now think this will be my next broccoli adventure! So you got to travel with your palate this time. You are gonna LOVE this recipe! Kewpie mayo is delicious. I had it on a blt this summer and fell in love. Loving all the different mix-ins in this salad! It is just so darn decadent. God bless my friend Didi for sharing it. I never thought of broccoli in a salad either… and probably why I wasn’t intrigued at first until I trusted the recommendation of Didi. That sounds so good! I love a good broccoli salad. I’ve never heard of Kewpie mayo before but now I’ll be searching for it. Thanks for sharing! 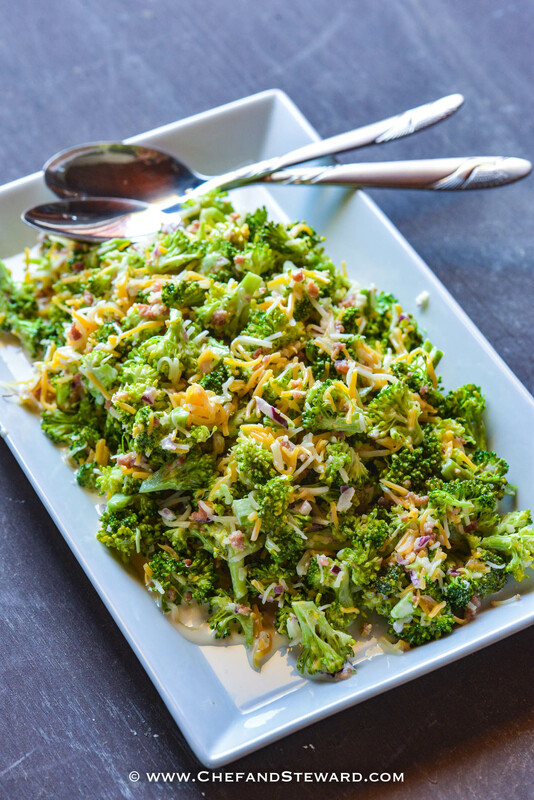 Love broccoli salad and how great of a side dish it is for the holidays. I’ve never heard of this mayo before but it sounds super interesting. Will definitely keep my eye out for it! I love this idea for a new way to use broccoli! It looks delicious. I’ll have to add it to the weekly rotation. Thanks for sharing! Broccoli salad is one of my favorite salads! Anytime I get my hands on some I devour it quickly!! You must be from the American South then, Anna? This is the type of salad you want to serve at a dinner party or large gathering. I love broccoli and they pair great in salads. Thank you for shairing this recipe. I cannot wait to try it. Yes… it is perfect for large batches as it is so forgiving and actually benefits from sitting in dressing for a long time unlike other raw salads. 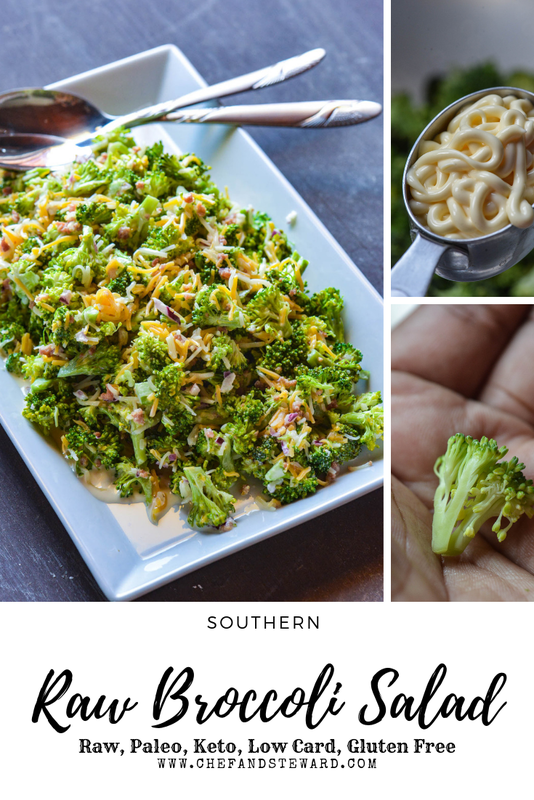 I really like to take broccoli salad when we go to a BBQ and this looks like the perfect recipes. Everyone is sure to love it. I’m also excited to try the Japanese Kewpie Mayonnaise. Girl add that Kewpie and switch it up and hear all the people asking you what you did differently! This would be a perfect salad for the upcoming party season and healthy too. This mayonnaise is new to me and I am looking forward to try it. This is the perfect salad for a backyard BBQ. It doesn’t get any easier than this! I love that it’s gluten-free and Keto. Actually, I love everything about this recipe! Thanks for the inspiration! Like so easy an 8 year old could do it (except for the fine dicing onion bit). But seriously good too and yes… BBQ pairing bliss! I agree with so much about this – firstly, Kewpie is the king of mayo and secondly, I love raw broccoli! See! You get it. Thanks for getting it! What a great-looking salad! My local grocer sells blanched, chopped, broccoli stems. I make a kind of slaw out of them that I use on sandwiches. But this salad seems like a better use for them! I love the idea of using them in sandwiches as well so thanks for sharing that tidbit. Would never have thought of broccoli in a sandwich! Yes it is absolutely perfect for the holidays- simple yet extremely impressive!